Extraordinary days = support for theistic evolution? As I have pointed out some years ago, there is a striking difference on the interpretation of Genesis 1 between these North-American Reformed theologians and their Dutch colleagues – such as Kuyper, Bavinck, Honig, Aalders, Schilder . . . Are we in danger of forgetting our own Reformed tradition in favour of the American one – both in the interpretation of Genesis 1 and in the inerrancy issue? Theistic evolution is not outside the bounds of the Three Forms of Unity. Comment on quotes 1 & 2: Anyone reading the first quotation on a website that includes the second quotation can be forgiven for thinking (incorrectly) that the theologians here named supported some version of theistic evolution. Arguing towards the thesis of quote two in fact provides the raison d’être for the Reformed Academic blog, from where these quotes are drawn. This [the global flood] is a major argument in supporting its [creation science’s] belief that the earth is quite young — some 6,000 to 10,000 years in age, rather than the billions of years acknowledged by most scientists. According to creation-science most of the geological features of the entire earth have been shaped by a global Noahic flood which took place some 5,000 years ago. With respect to the results of modern science regarding so-called “origins” questions, we do acknowledge that there are multiple converging lines of evidence in favour of an ancient cosmos and even for the common ancestry of all living things. Now, especially in the latter case we do not consider this evidence to be incontrovertible proof, and we certainly believe God did something special in creating humankind. This includes especially the field of paleontology (studying the fossil record, including the use of radioactivity and geology) as well as astronomy, astrophysics, and cosmology (these deal with stars and galaxies whose light often takes many years to reach us). These are the disciplines, after all, which have been marshalling the evidence that life has been around for about ¾ of the earth’s 4.54-billion-year history, and that the universe itself is about 13.75 billion years old. And these ages are supposed to contradict a “plain sense” or “traditional” reading of Scripture. Comment on quotes 3, 4, and 5: Two choices are placed before the reader: either 6,000 to 10,000 years of age for the earth [and universe, I might add], or 13.75 billion years for the universe, 4.54 billion for the earth, and about 3 point something billion years for life on earth. Note: to make the contrast clear, I added the italics to these quotations from the Reformed Academic website. 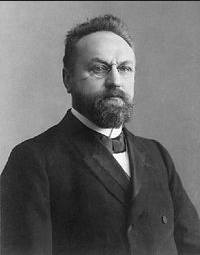 My concern: For several years, as part of their argument that Reformed Christians need to make room for theistic evolution, Reformed Academic has been appealing to some key continental Reformed theologians—as listed above, Kuyper, Bavinck, Honig, Aalders, and Schilder—and their views on the length of the creation days in Genesis 1. Of course none of the authors at Reformed Academic have argued that these theologians supported theistic evolution as such. In one place, they even correctly state the opposite. Nevertheless, my concern is that by way of repeated rhetorical appeal to the latitude of these men regarding “Genesis 1”—and by using “Genesis 1” as shorthand for their views on the length of the days in Genesis 1—Reformed Academic leaves the impression that they can claim the support of these earlier theologians. I assert that these men neither supported theistic evolution, nor tolerated the deep time required for the supposed evolutionary process—the millions, let alone billions of years of the universe and the earth. Nor should we. 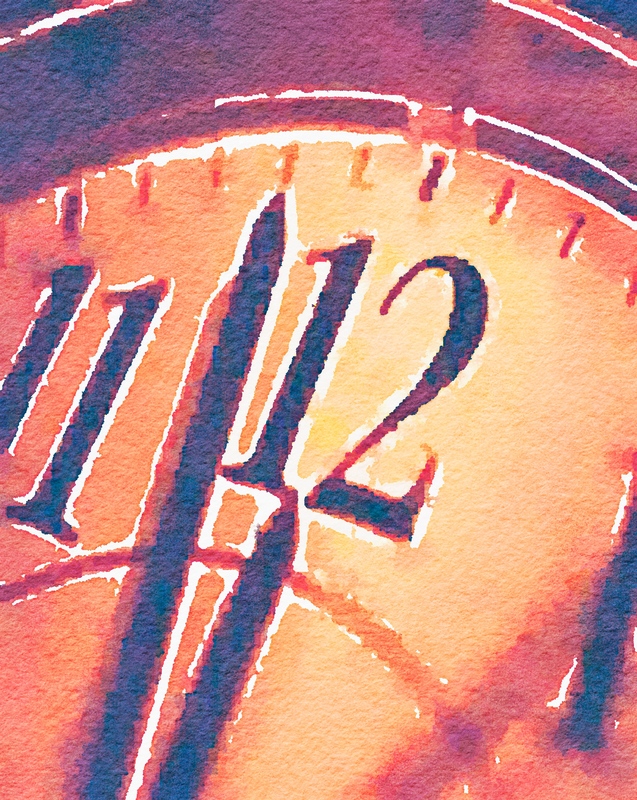 We can all point to a number of theologians who argued that some or all of the days of Genesis 1 were “extraordinary” in length, or that they were “God’s working days,” and “creation days.” Both Max Rogland (2001) and Frederika Oosterhoff (2003) have proved the case for this, and shown that Bavinck, Schilder, and others used primarily exegetical points from Genesis 1 to argue against being bound to the 24-hour view. But the fuller picture requires a more robust affirmation of their adherence to the literal, historical, common-sense reading of Genesis 1. I will explore only two of these figures, Bavinck and Schilder, and I shall follow them up with a quotation from one of the former professors of the Canadian Reformed Theological Seminary on the same point. The descendance theory of Darwin may be an indispensable link in the doctrine of development; it finds no support in facts. Man always has and still does form a distinct species in the world of creatures. For this reason there is still room in science for the wondrously beautiful narrative which the opening chapters of the Bible contain concerning the origin of things . . .
And thus the Scripture states it. In an ascending series, covering a period of six days, by the word of his power the Almighty brings all things to appear from the unseen world of thought . . . What an insight into the origin of things! What an exalted simplicity! Here is poetry and truth and religion all in one. This is both natural science and philosophy (859–60). Endless duration together with an endless progress is inconceivable for the earth as well as for man. An end must come. To reckon with millions of years, in the past or in the present, is child’s play and unworthy of mature minds, and is at best of no greater value than the gigantic numbers of Indian mythology. All physicists teach that after some millions of years the earth shall come to an end. However rich in provisions, the earth is not inexhaustible. [Bavinck] uncovers with great skill the inconsistencies of the evolutionary philosophy and exposes its vast assumptions; and sets over against it the creationism or supernaturalism of the Biblical world-conception. The address divides itself into three parts, in which are contrasted the two views of the world successively with reference to the questions of the origin, nature, and end of things, the result being to show that the evolutionary scheme stands helplessly before each of the three problems. It is a very thorough and very telling exposure of the essential atheism of evolutionism, considered as a philosophy of being. Without compromise Schilder makes his starting point the faith in Scripture, specifically in the historical trustworthiness of the history related in Genesis 2 and 3, dealing with the original state of righteousness and the fall into sin. In this book Schilder does not refer even once to the decisions of the Synod of Assen of 1926 [though he had earlier written much about it] regarding the historical trustworthiness of the narrative in Genesis 2 and 3. Nevertheless, Berkhouwer’s words are strikingly applicable to What is Heaven? 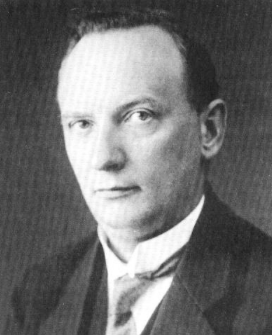 “I know of no theologian within the circle of Refomred theology for whom the decision of Assen was of more material significance than it was for Schilder.” Schilder reminds us repeatedly of his position, “With resepect to the beginning of the world we must accept the historicity of the narrative of Genesis 1–3.” This is the starting point. The world was created in six days, according to the following pattern . . . [he lists the six days]. The theory of evolution says that all present things evolved from original cells through a process spanning millions of years. Although we cannot deny the process of limited change and micro-evolution, we must rule out the possibility of a change from one species to another (macro-evolution). While we cannot accurately determine the age of the earth, an evolutionary process of billions of years does not accord with the testimony of Genesis 1–3 and its relation to the rest of Scripture. Let’s not be misled to think that the Reformed theologians here mentioned intended to make room within the Reformed faith for millions or even billions of years of prior existence of the universe, earth, and life. All of them did argue that the days of Genesis 1 (the first three days, or even all six of them) should be called “extraordinary days,” “God’s working days,” and “creation days,” because they thought that these days were not necessarily identical in time with our 24-hour days. But they never suggested that their views allowed room for the deep time advocated by evolutionists. All of these are easily found, but one: Herman Bavinck, “Creation or Development,” The Methodist Review (1901), transl. Hendrik De Vries, 849–74. See https://archive.org/details/methodistreview8351unse. Accessed November 9, 2015. I thank Anthon Souman for drawing this quotation to my attention. I have since noticed that Herman Van Barneveld has also raised it in dialogue with Reformed Academic. James Visscher, “Bavinck on Creation,” Living Waters from Ancient Springs , ed. Jason Van Vliet (Wipf&Stock, 2011), 145, n. 44. From the Presbyterian and Reformed Review 12 (1901), 507, as quoted in Eric D. Bristley, Guide to the Writings of Herman Bavinck (RHB, 2008), 75. Checking the original source, I note that Warfield was reviewing the Dutch original, not the translation. Jacob Kamphuis, “Schilder on Heaven,” Always Obedient, ed. J. Geertsema (P&R, 1995), 102. Jack DeJong, Credo (Premier Publishing, 1997, etc. ), 28–29. Finally, as a bit of an aside, readers of Reformed Academic’s blogs also repeatedly encounter one or two quotations from John Calvin to the effect that we are to learn astronomy and other disciplines from the scientific experts and not from the Bible. Creation Ministries International replied to this trope some time ago, with a much more wholesome account of Calvin’s views. QUESTION: In Genesis 1:27 it says God made Eve on the same day as Adam (“… male and female He created them”) but in the next chapter in Genesis 2:18-22 it says that God created Eve only after Adam first named all the wild animals and bird (don’t fish need names too?). So, are we really supposed to imagine that in just one ordinary day God created Adam, had all the animals pass by him, Adam named them, realized he was lonely, and then he had a women created from his rib? How could all of this happen in just 24 hours? 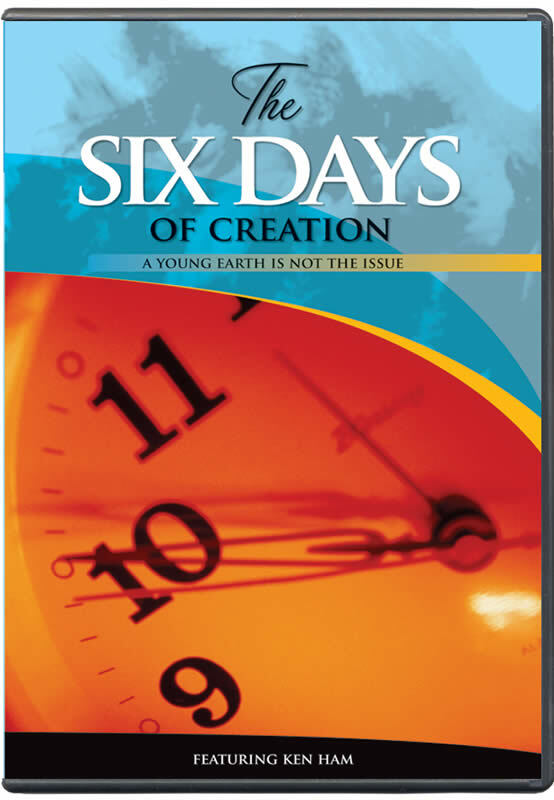 ANSWER: It is sometimes argued that we shouldn’t believe the creation days were literal days, because there wasn’t enough time on the sixth day to get everything done in just a 24-hour period. But if we take a close look at the events, we’ll find there was more than enough time. Consider first that God brings the animals to Adam to highlight that Adam has no match to be found in the animal kingdom. In other words, Adam’s loneliness isn’t the separate event some make it out to be – his loneliness is brought to his attention by the very act of seeing all the animals. Second, he wasn’t required to name the insects, or the sea animals – as these could never have been companions to Man, Adam doesn’t need to see (or name) them at this point. This eliminates more than 98% of all the living species out there. Third, whereas we have many a dog type now, there would likely have been far fewer then, and Adam might have handled the whole kit and ca”poodle” by calling the whole grouping “dog.” You can work through a lot of animals quickly if the naming involves only the overall kinds. So… there was lots of time to name animals, lots of time to notice how none of them was a good match for Adam, and then lots of time for God (who needs no time at all to get things done) to make a suitable better half for Adam. This objection is one that has been made many a time, and by some big names (Dr. Norman Geisler would be one of the biggest), but it has also been answered many times. There is no reason to think that all the events described as taking place on day 6 couldn’t have taken place in a normal day. The debate over whether God really created in just six days might seem to about the age of the earth: is it thousands or millions and even billions of years old? But, as presenter Ken Ham shows, the real issue is one of biblical authority. That’s the real issue underlying the battle over Genesis. Later Ham notes he doesn’t even like to be called a “young earth creationist” because that makes it seems as if the earth’s age is the key issue instead. But the reason we need to have a proper understanding of the age of the Earth is only so that we can have the proper respect for biblical authority – if the Bible doesn’t mean what it says in the first chapter, then how can we trust it anywhere else? This is a very good lecture, as lectures go, so if you are interested in the material you’ll enjoy the presentation – it is a very good and thorough introduction to the topic. This has been circulating among several friends, and we’ve all appreciated it. However this is not something that will grab attention – it is simply a man at a podium with some powerpoint slides. So, a good one for adults who want to know more, but not really something for kids, or those only marginally interested. This review was first published on www.reelconservative.com.